The best place to get the latest Phi Phi resort reviews is on our very own resort fact sheet pages. Find out what guests who have stayed at the resort think of 'what's happening', where's great value and what special deals are available on each one of every glorious resorts. The main Phi Phi resort reviews are coloured by some of the world’s most pretty scenery. People can have a great time in paradise when the weather and views are exceptional if they are staying in a simple guesthouse resort on the beach and spend little time in the rooms. When you are paying premium prices for 4 and 5 star beachfront accommodations, the quality of the rooms and the service become more critical. This is one of the reasons there is a great variation Phi Phi resort reviews. Luxury Phi Phi resort reviews are based on the main resorts of Zeavola Phi Phi Resort, Holiday Inn Phi Phi Island and Phi Phi Island Village Resort And Spa and the Phi Phi Island Cabana Hotel. These 4 and 5 star resorts offer varying room types that are all excellently furnished and complete. The location and size of each accommodation affect the room price. 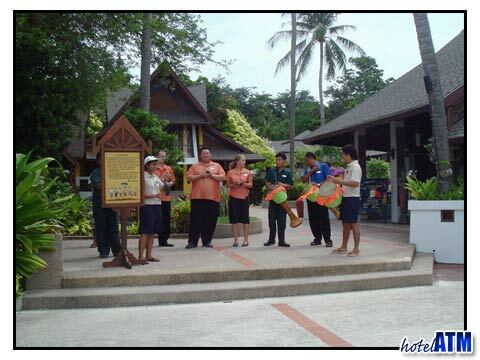 The good quality service is consistent at the Zeavola Phi Phi Resort, Holiday Inn Phi Phi Island, Phi Phi Island Village Resort and reviews are full of happy customers. There are many Phi Phi resort reviews focused on mid-range and budget travellers. None of these mid-range and budget beachfront resorts are large and often have simple or family run managements so to expect full mainland or Bangkok style service is unrealistic. What you will get is an informal easy going island style of accommodation, a style typical of the islands in Thailand. Some travellers find this the ultimate experience, see Phi Phi Relax Beach Resort. Some find this stressful so it is important to check out your reviews in advance. There is a very fine line between the 'island laid back style' and poor service. There are no roads and everything needs to be physically carried into the resorts. On top of this, it is primarily an outdoor lifestyle so it is hot both for guests and staff. This creates a slow pace for every aspect on the island. Slow is never good if you are running for a ferry, a tour or just itching to get something done so you can get on enjoying yourself. The trick here is to give yourself time to get things done. All these factors are evident in the variety or reviews and scores on phi-phi.com and Agoda and Tripsadvisor. At the very simple end of budget accommodation there are backpacker resorts like Phi Phi Rimlay Resort. These and many ">cheap guesthouses are not on resort comparison websites, depend on walk in off the ferry customers and alter their prices depending on the demand. This means that if the island is full they will put the prices up to way beyond a better quality resort. This leads to many poor reviews. This however can be sidestepped if customers book in advance of their arrival. In low season (May till October 31st) Phi Phi resort reviews can be greatly affected by the weather as a good day in paradise snorkeling on the Phi Phi reefs compares very differently with being stuck in a hotel rooms during a rain storm. One thing for sure that does help the mood of guests in the low season, is the price of the resort accommodation. Typically rooms are 40-60% cheaper in low season than in high and peak season making for a great deal especially if you get good weather. (The best low season weather is May, July 10th -August 20th and October). Some great Phi Phi Hotel Deals are available, mainly in low season which promote the Free Night Specials, Fixed Night Promotions, Special Discounts, Early Bird Offers Honeymoon offers. On top of that HotelATM.com, the parent company of phi-phi.com, offers a Long Stay free night if you are staying 15 nights. These offers can be found on all the hotel fact sheet pages.